Jumanji 3 is expected to begin shooting on January 21st. The sequel was formally announced by Dwayne Johnson earlier this year after Jumanji: Welcome to the Jungle became Sony's biggest movie to date. 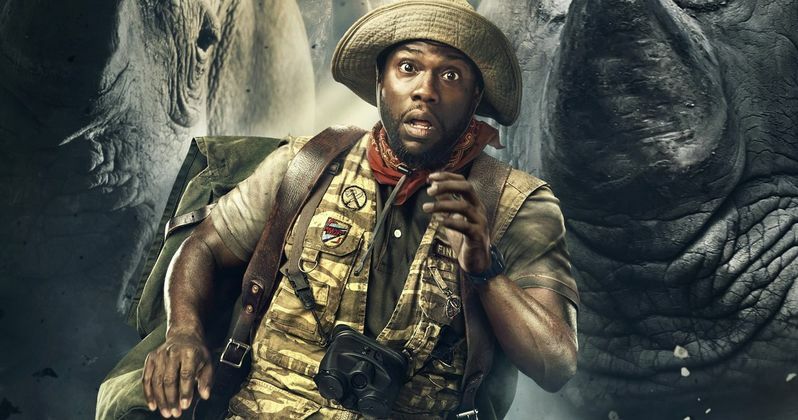 Johnson even teased that the upcoming sequel could kill off Kevin Hart's character, but he was more than likely having some fun at his friend's expense. It's believed that the cast of the second installment will all be making a return for Jumanji 3. Many believed that Jumanji 3 would begin filming in Hawaii when it starts early next year, but that is not the case this time around. Instead, filming will take place in Los Angeles, Atlanta, and Canada. With the production start date being January 21st, the movie is expected to wrap principal photography on April 26th. After that, the sequel will go into post-production and will take care of reshoots, if needed. Jumanji: Welcome to the Jungle was an awesome surprise for fans that weren't expecting a whole lot so many years after the original movie, so there is quite a bit of pressure for the third movie. Jumanji 3 director Jake Kasdan revealed some small bits of information about the sequel over the summer. At the time, the director was unsure if the original actors would be coming back to play the same characters, but that decision seems like a no-brainer if the studio wants to replicate the success of the second installment. Dwayne Johnson, Karen Gillan, Kevin Hart, and Jack Black all had a great on-screen chemistry that will need to be revisited, but it will be interesting to see how they all get brought back for the third movie. Jake Kasdan was asked if the characters could possibly switch roles for Jumanji 3, which is an idea that he liked, but had not considered. It's been 6 months since Kasdan answered those original questions and a lot could have changed since then. However, the storyline for Jumanji 3 is still a secret at this time. The sequel had an entirely different way of getting sucked into the game from the first movie, so there is some pressure to replicate that process, or come up with an entirely new way for the gang of high schoolers to get into the iconic game. Jumanji 3 hits theaters on December 13th, 2019 and it will have more similarities to the first movie, according to Jake Kasdan. The director wants to focus on the continuity of the franchise, so it will be interesting to see how he accomplishes that after all of this time. Since Kasdan is talking about the first movie again, some fans have speculated that the game will once again be an old school board game like the original. Obviously, that has not been confirmed at this time, but it would be an interesting twist that could bring a new set of characters to the game. The Jumanji 3 filming news comes from Production Weekly.